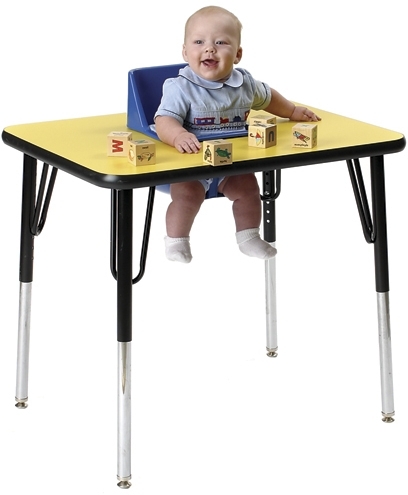 Rectangular 30"x24" table comfortably seats one child. Include toddlers with food allergies at snack time by seating them at table height but away from food allergens like peanuts. Tables have removable seats and are easy to clean. Table tops are 1-1/8" thick with a laminate surface. Seat belts included. For children up to 25 lbs.